The new generation of offshore wind surpasses the capacity factor of thermal generation. Statoil's floating offshore wind farm shows promising early results. Statoil recently announced that its pioneering offshore floating wind farm, Hywind Scotland, achieved an astounding 65 percent capacity factor from November through January. 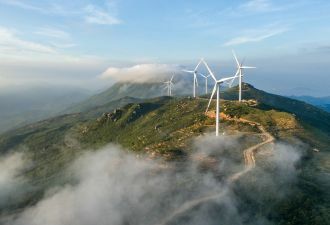 Not only does this far surpass onshore wind farms -- the United States’ wind fleet enjoyed an average capacity factor of about 37 percent last year -- it bests America’s thermal power generators. EIA data suggests coal and natural-gas combined-cycle power plants will end 2017 with capacity factors in the 54 percent to 55 percent range. The Norwegian energy firm plans to deploy an onshore 1 megawatt-hour lithium-ion battery system (“Batwind”) in late 2018, to evaluate the potential for energy storage to complement the offshore wind technology. Located about 20 miles off the coast of the eastern tip of the Scottish mainland, Hywind Scotland Pilot Park consists of five 6-megawatt wind turbines with blade tips that reach more than twice the height of the Statue of Liberty. Each turbine sits atop a 90-meter-high substructure, itself ballasted with 5,000 tons of iron ore. Each substructure in turn is moored to three 15-meter-high suction piles anchored into the seabed at a depth of about 100 meters. The design of the floating wind turbine platforms can be traced to Statoil’s decades of experience as the world’s largest offshore oil and gas platform operator. Given that 80 percent of the world’s offshore wind resources are in waters too deep for anchored wind turbines, and that oil platforms have been successfully deployed in waters almost 2,500 metres deep, it’s unsurprising in retrospect that an oil major has committed to the sector. Scotland’s healthy winds and proximity to Norway made it a natural site for Statoil’s first floating offshore wind farm. Policy support, including a goal to generate 100 percent of Scotland’s electricity from renewables by 2020, also helped. Statoil built its first floating wind turbine off the Norwegian coast in 2009, a reminder of the long time scales that can be required to vet, validate and verify newly developed capital intensive technologies. In its more than eight years of operation, the Hywind Demo has endured Category 1 hurricane speeds of 40 m/s and 62-foot waves, while achieving annual capacity factors of up to 50 percent. With wind turbines becoming larger by the year, Hywind Demo’s then-typical 2.3 megawatts is minuscule compared to today’s towers; it will seem positively quaint by 2030. Larger turbines facilitated a two-thirds cost reduction for Hywind Scotland; as the waterfall chart below shows, Statoil continues to pursue cost reductions on all fronts. Statoil aims to halve per-megawatt capital costs in the next five years, and has identified the coasts off the United Kingdom, New England, California and Japan as promising early markets. Statoil also won an auction of offshore wind rights in New York state in late 2016. Halving the levelized cost of energy is a longer-term goal, with the company aiming to be in the $50-$70 megawatt-hour range by 2030. While this will be more expensive than onshore wind and solar, this should be competitive with thermal generation, particularly where carbon pricing is in place. GTM's Julia Pyper noted oil majors’ renewed interest in renewables last year, identifying Statoil and Total as the most proactive on renewables. While Total chose diversification into solar photovoltaics (through SunPower) and batteries (through Saft), Statoil’s advance into wind seems a more natural extension of the firm’s core strength in offshore infrastructure. As noted in a previous article, while the change from film to digital photography crushed Kodak, its rival Fuji was able to pivot into cosmetics by leveraging its collagen and antioxidant expertise. 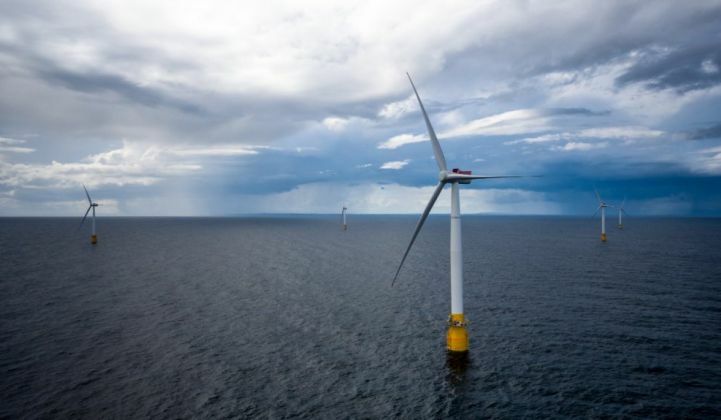 In a similar vein, Statoil’s early success in applying its offshore oil and gas platform expertise to floating wind turbines would seem to help it navigate through the energy transition currently in process.